The Wonderful Alphabet was written to commemorate the 1600th anniversary of the invention of the Armenian alphabet. 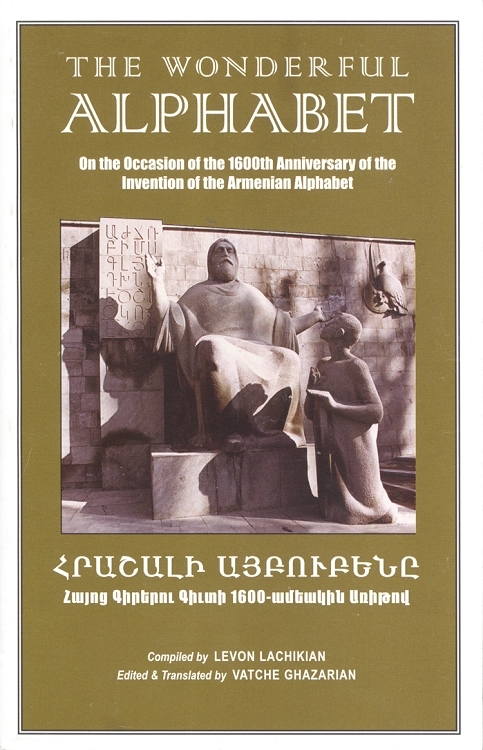 This bilingual (English/Armenian) book celebrates the occasion with a variety of poems, quotes and stories about the invention of the alphabet and the subsequent flourishing of Armenian language and literature. The book includes a special tribute to Mesrob Mashdots, the inventor of the Armenian alphabet with various accounts of his life and work, written by both his contemporaries as well as by his later admirers. It also includes newly translated poetry by figures like Moushegh Ishkhan, Baruyr Sevag, Sybille and Siamanto, among many others.